Pathways tie a landscape design together, weaving in amongst the trees, structures and flower beds, visually linking them and providing a way to travel from place to place. Paving is a functional outdoor area which can be used for entertainment, an outdoor kitchen garden, childrens play area etc.Various options are available to ensure a beautiful area. 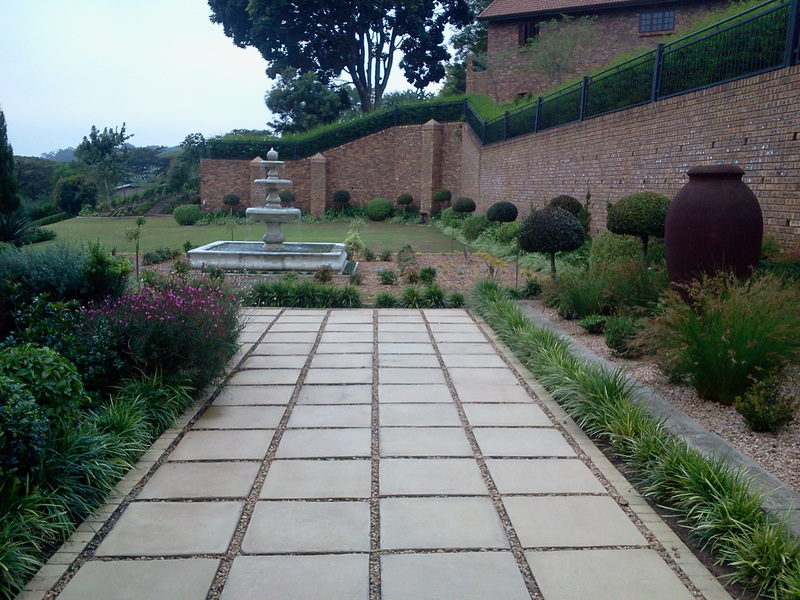 Paving can be grouted , have stones or mondo grass or other greenery between the pavers, placed in a checkerboard pattern and pebbles or plants placed in the gaps, placed in a circular shape etc.